Ryan's Smashing Life: Girl Rock: Moseley to devastate The Outlaw Roadshow Nashville! 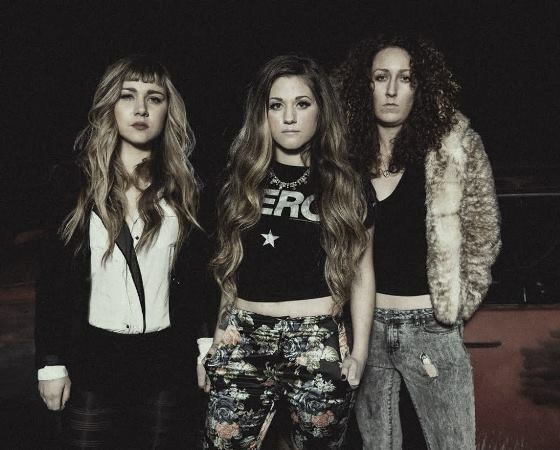 Girl Rock: Moseley to devastate The Outlaw Roadshow Nashville! Female-fronted-and-backed 3 piece rock outfit Moseley entered the Nashville scene in 2013 like the anticipated punchline to the real-life “a blonde, a brunette, and a redhead walk into a bar.” With some regional touring under their belts, and power pop packed set lists in their purses, these moody fuzz rockers used lyrical honesty and punchy progressions to catch the ear of multi-Grammy award winning producer Jay Joyce (Cage The Elephant, Halestorm, The Wallflowers, Eric Church), who will release their debut full-length this fall. Moseley is Suzie Chism, Christy Callaway, and Abby Hairston. Appearing in their first ever Outlaw Roadshow, Moseley appears Friday 7/17 at the High Watt - just after midnight. Get ready to be rocked.